STAR Plus is back again with the 16th edition of the popular award show, STAR Parivaar Awards. 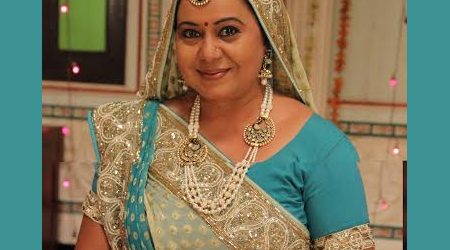 Veteran actor Neelu Vaghela has been part of the STAR family ever since Diya Aur Bati Hum was launched and has given hit performances at the gala night in previous years but this time around she has a special contribution in the awards ceremony. Neelu who portrays the role of Bhabo on the show has something special lined up for her fans at the STAR Parivaar Awards 2016. While she was shooting in Jaipur, she received a beautiful traditional Jaipur sari as a gift from her fans and she was elated to receive it.